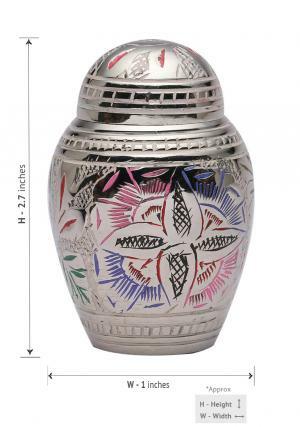 The farnham flower engraved keepsake urn is designed with a multi colored flowers, this miniature engraved keepsake urn will preserve a small part of the ashes or a deadlock of hair, engraved farnham flower keepsake urn can be arranged to family members or close friends as a common and lasting memento. 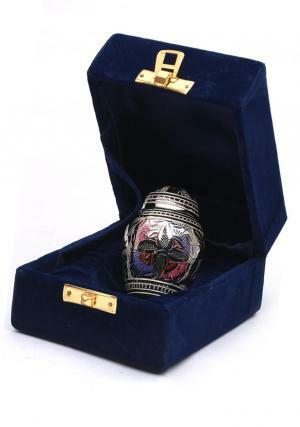 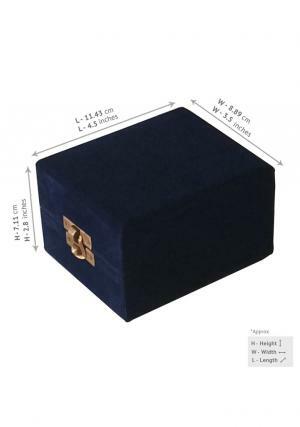 Engraved multi colored urn has height of 2.7 inches and is provided with a free red velvet presentation case. 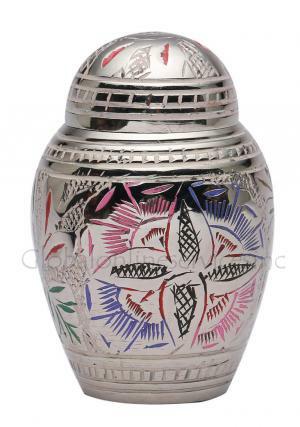 Engraved multi colored keepsake urn is very striking in appearance. 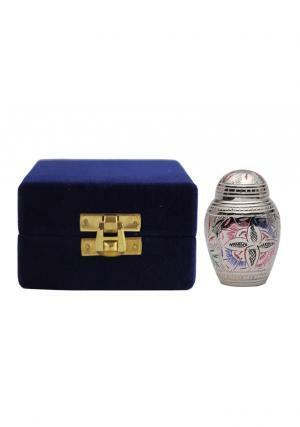 Engraved multi colored keepsake urn has been hand casted and complicatedly handmade with solid brass by highly experienced skilled artisans, keepsake urn has a multi colored and brass engraved finish. 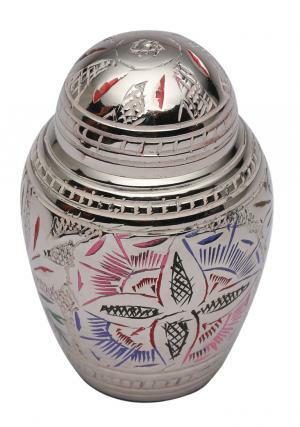 A token quantity of ashes can be secure fastening for insertion of ashes in the farnham flower keepsake urn via a threaded lid.